US Department of the Treasury announced sanctions on several individuals and entities over their involvement in actions against the US sanction measures. In this file photo taken on January 24, 2017, a man enters the US Treasury Department building on Pennsylvania Avenue in Washington, DC. 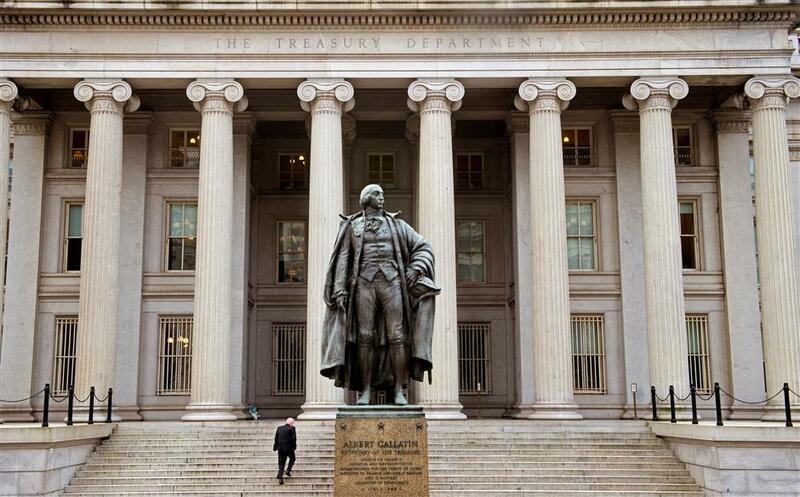 US Department of the Treasury on Tuesday announced sanctions on several individuals and entities over their involvement in actions against the US sanction measures on Russia and the Democratic People's Republic of Korea. In an announcement, the Treasury targeted two entities and two Russian individuals "in order to counter attempts to evade US sanctions." "The Treasury Department is disrupting Russian efforts to circumvent our sanctions," said US Treasury Secretary Steven Mnuchin. In response to US escalating actions, Russian President Vladimir Putin signed into law a bill which allows him to respond to sanctions by the United States and other "unfriendly states."